A8000-I is facelift of A8000-II, provides more stable and convenient sucking spit system. 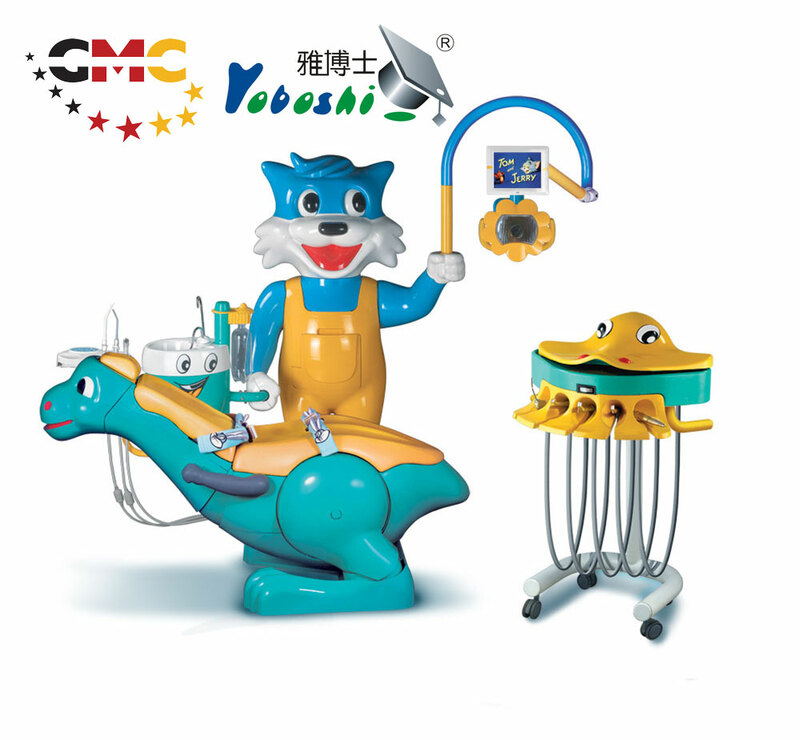 Among additional features are a movable fish instrument tray which make operation more convenient for dentists. Open the belly of blue cat, it turns out to be the cuspidor. Movable head of blue cat attracts children’s attention. Different from A8000-IA, the cuspidor of A8000-IB is in the outside of blue cat,not in the belly. DV player plays cartoon movies which can distract children from pain and tense. Diversified but not complicated design add with the professional color match, become the best choose for the children’s dentist.